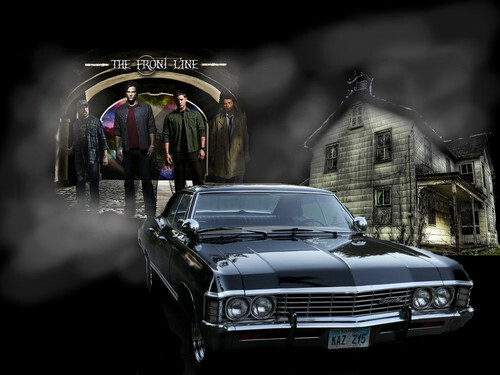 邪恶力量 ♥. . HD Wallpaper and background images in the 邪恶力量 club tagged: supernatural dean winchester sam winchester. This 邪恶力量 wallpaper might contain 轿跑车, 可兑换, 可转换, 敞篷车, 轿车, and 轿车轿车. AU meme 邪恶力量 | In which Sam and Dean 说 yes to Lucifer and Michael.